In this role, Dr. Boulanger is partnered with Michael Stern, Executive Vice President and Chief Operating Officer, as System dyad leaders, responsible for aligning organization-wide operational and clinical efforts. 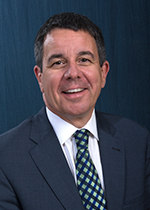 Prior to joining MetroHealth, he held several roles at University of Kentucky (UK) HealthCare, most recently serving as chief medical officer. He provided leadership in the areas of clinical operations, program development, service quality and physician leader development. Dr. Boulanger also served as a trauma and general surgeon, medical director of inpatient services, associate chief medical officer for perioperative services, physician executive for UK Good Samaritan Hospital, and as enterprise director for surgery, endoscopy and interventional services. Dr. Nazha Abughali has served as Chair of the Department of Pediatrics since May 2013 and has been a faculty member at MetroHealth since 1993. Dr. Abughali has served in multiple leadership positions at MetroHealth including Director of Inpatient Pediatrics from 2002 to 2008, and Director of Pediatric Infectious Diseases in 2005, a position she continues to hold today. In 2010 she was promoted to Associate Chair of Pediatrics and to Interim Chair in April 2011. Her main interests are prevention of perinatal and childhood viral infections and management of childhood tuberculosis. She has been the Principal Investigator on 10 National Institutes of Health Collaborative Antiviral Study Groups (CASG) of the National Institute of Allergy and Infectious Diseases performed at MetroHealth from 2004 to present. She has also participated in multiple industry-sponsored clinical trials that involved prevention and vaccine development of the Respiratory Syncytial Virus (RSV). She has authored numerous publications in peer-reviewed journals, abstracts, and presented at national meetings. Dr. Abughali received her Bachelor of Science degree in biology and chemistry as well as her medical degree from the American University of Beirut. She did her internship and residency at the University of Miami’s Jackson Memorial Hospital, followed by a year of post-doctoral fellowship in Pediatric Infectious Diseases with a special emphasis on HIV-AIDS in children. She also completed a fellowship in Pediatric Infectious Diseases at Rainbow Babies & Children’s Hospital and MetroHealth Medical Center. Dr. Abughali was promoted to Assistant Professor of Pediatrics at Case in 2004 and to Associate Professor in 2006. She is board certified in Pediatrics and Pediatric Infectious Diseases and is a fellow of the American Academy of Pediatrics. Dr. Christine Alexander was named chair in May 2014 and serves as the Director of Maternal and Neonatal Service for the Department of Family Medicine. Prior to these appointments, she was Director of Obstetrical Education from 1997 to 2003, Residency Director of the Department of Family Medicine from 1998 to 2004, and Clerkship Director for Family Medicine from 2006 to 2010. Since 2010, she served MetroHealth as the Interim Chair of the Department of Family Medicine. Dr. Alexander was promoted to Associate Professor at Case Western Reserve University in 2011. She is board certified in Family Medicine, and was recertified in 2009. She completed the Advisory Board Leadership Series in 2011 and the Academy Fellowship Development of Senior Leaders Program sponsored by the Advisory Board and The MetroHealth System in 2013. Dr. Alexander is active in numerous national family medicine organizations. She currently is co-principal investigator on the MEDTAPP Healthcare Access Initiative Grant which began in July 2012 and provides $2.9 million dollars of support from the State of Ohio to improve healthcare access, increase quality of care and decrease cost of care for Medicaid patients while training, recruiting and retaining providers who wish to serve an urban population. She also has initiated the MetroHealth School-Based Healthcare Program and successfully obtained private foundation funding for a pilot project for the program at Mound Elementary STEM School. Currently this program is targeted to expand to 20 school sites under Dr. Alexander’s leadership. Dr. Alexander received her Bachelor of Science degree in biology from Youngstown State University and completed her medical degree at the Ohio State University. She completed a residency in Family Medicine at Thomas Jefferson University Hospital in Philadelphia, followed by two years of obstetrics at the Mercy Hospital in Pittsburgh. She later completed a Faculty Development Fellowship at the University of Pittsburgh. Craig Bates, MD, was appointed as Medical Director, Metro Life Flight in 2008, and oversees clinical operations for critical care transport services. Dr. Bates began his career at MetroHealth in 2001 as an emergency medicine resident. He joined the emergency medicine faculty in 2004. Dr. Bates is board certified in Emergency Medicine and Emergency Medical Services through the American Board of Emergency Medicine. He has been working as a flight physician since 2004. He also serves as Associate Medical Director for the Cleveland Department of Public Safety. Dr. Bates received his medical degree from the University of North Carolina at Chapel Hill. Christopher Brandt, MD, has served as Chair of the Department of Surgery since September 2011. He also serves as Associate Director of the MetroHealth Comprehensive Burn Care Center. 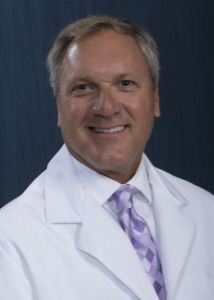 Dr. Brandt has been Board Certified in Surgery since 1989 and joined MetroHealth that same year. Dr. Brandt is an accomplished teacher, winning numerous awards from the Case School of Medicine and other institutions. He has served the surgical community through roles in multiple, national organizations. He is currently active in the Association of Surgical Education where he serves on the Executive Committee, is chair of the Program Committee and is Section Editor of the Surgical Educator’s Manual. He has also served as an Associate Examiner for the American Board of Surgery. Dr. Brandt is highly involved in the Central Surgical Association, the Cleveland Surgical Society, the Midwest Surgical Association, the Eastern Great Lakes Burn Study Group, the National Board of Medical Examiners and the Society of American Gastrointestinal and Endoscopic Surgeons. Dr. Brandt is a regular contributor to surgical literature, authoring 54 abstracts, 39 peer-reviewed publications and 10 book chapters. He also has served as section editor of two books. Dr. Brandt attended Case Western Reserve University for both his undergraduate and medical degrees. He completed his general surgery residency at the University Hospitals/Veterans’ Administration/MetroHealth System combined program. Dr. James Campbell joined MetroHealth in 1993 and has served in a number of key roles during his tenure. He has overseen the Post-Acute and Extended Care Patient Care Unit since 2009 as Executive Director and has served as Chair for the Department of Family Medicine from 1999 through 2010. Dr. Campbell was instrumental in building a strong geriatrics program at MetroHealth and is board certified in Family Medicine and Geriatric Medicine. Dr. Campbell received his medical degree from the University of Cincinnati College of Medicine and completed his internship, residency and fellowship programs at University Hospitals Health System in Cleveland. Dr. John Chae was named Vice President of Research in April 2018, providing strategic and operational oversight of the System’s Research Enterprise. 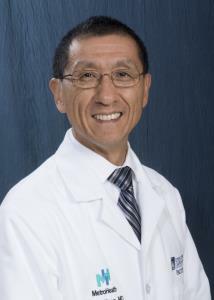 A faculty member at MetroHealth since 1994, Dr. Chae retains his role as Professor and Chair of Physical Medicine and Rehabilitation (PM&R) and Professor of Biomedical Engineering at Case Western Reserve University (CWRU) School of Medicine. Dr. Chae has made notable contributions as a clinician, educator, inventor, scientist, and leader, developing the percutaneous peripheral nerve stimulation system, the only intervention with long-term treatment efficacy for chronic post-stroke shoulder pain. He has authored over 120 peer-reviewed publications, reviews, book chapters and books and has been awarded 13 patents. He is a member of the National Academy of Medicine and Past President of the Association of Academic Physiatrists. Dr. Chae received his Bachelor of Science in Engineering from Duke University and a Masters in Engineering from Dartmouth College. He received his MD and residency training in PM&R from Rutgers University – New Jersey Medical School. He completed the NIH Rehabilitation Medicine Scientist Training Program Fellowship at CWRU. His clinical expertise is in stroke rehabilitation. Dr. Crowe is a board-certified dermatologist specializing in general dermatology. He joined MetroHealth in 2011. He is a member of the Academy of Dermatology and of the American Medical Association. Dr. Crowe received his medical degree from the University of Cincinnati College of Medicine, where he also completed his internship and residency programs. Dr. Ronnie Fass joined MetroHealth in 2012 and is a world-renowned expert in the field of esophageal disorders and gastrointestinal motility. In addition to his role as Director of the Division of Gastroenterology and Hepatology, Dr. Fass is the head of the Esophageal and Swallowing Center at MetroHealth. Dr. Fass has extensively researched and published many articles in the areas of GERD, (gastro esophageal reflux disease) functional esophageal disorders and Barrett’s esophagus. He is board certified in Internal Medicine and Gastroenterology. He is a member of the American College of Gastroenterology, the American Neurogastroenterology and Motility Society, and the American Gastroenterological Association. Dr. Fass earned his medical degree from Ben-Gurion University in Beer-Sheva, Israel and completed his residency at the University of Arizona Health Sciences Center in Tucson, AZ, where he served as Chief Resident. He completed his fellowship at the University of California, Los Angeles. Dr. Robert Ferguson joined MetroHealth in 2007. He is an interventional neuro-radiologist who specializes in stroke prevention and treatment. He is an opinion leader in interventional neuroradiology and neurointerventional techniques and technologies. Dr. Ferguson has been Principal and Co-Principal Investigator in multiple clinical stroke trials. He also is active in basic and clinical research to limit the X-ray dose in a variety of imaging procedures to reduce the risk of radiation-related complications. Dr. Ferguson is certified by the Ohio State Medical Board. He is a member of the American Medical Association, American Society of Neuroradiology, Society of Cardiovascular & Interventional Radiology and the American College of Radiology; he also is a Fellow in the Stroke Council of the American Heart Association. Dr. Ferguson earned his medical degree from the University of Ottawa in Ottawa, Ontario, Canada and completed his residency at the Radiology University of Western Ontario in London, Ontario, Canada. He completed a fellowship at Interventional Neuroradiology University Hospital at the University of Western Ontario. Dr. Joseph Hanna joined The MetroHealth System in 1996. His clinical expertise ranges from treatment of headache and epilepsy to neuro-restorative therapy and stroke/neuro-intensive care. Dr. Hanna founded MetroHealth’s annual Teen Brain Health competition to encourage high school student teams to learn more about important health issues that impact the brain. Dr. Hanna earned his medical degree from the University of Cincinnati College of Medicine and completed his residency at University Hospitals of Cleveland, followed by a fellowship at the Cleveland Clinic. Dr. Hanna is board-certified by the American Board of Psychiatry & Neurology in neurology and in vascular neurology. Dr. Gregory Heintschel joined MetroHealth in 2018 and serves as Chair of the Department of Dental Medicine. As Chair, Dr. Heintschel is responsible for the successful recruitment and development of faculty to meet the clinical and academic needs of the department. He maintains excellent teaching programs for residents, fellows and dental students in close collaboration with the Case Western Reserve University (CWRU) School of Dental Medicine. Dr. Heintschel earned his DDS from The Ohio State University and an Masters in Business Administration from Lawrence Technological University in Southfield, MI. He completed his residency at the University of Toledo (Ohio). Dr. Ewald Horwath was appointed Chair of Psychiatry at MetroHealth in 2010. He has studied the genetic epidemiology of major depression and panic disorder; risk factors for major depression; epidemiology of anxiety disorders; the treatment of schizophrenia; and the diagnosis and treatment of mental disorders in patients with chronic diseases. He has a special interest in the treatment of patients with HIV infection and management of psychiatric care in diverse communities. He is board certified by the American Board of Psychiatry & Neurology. Dr. Horwath has published 30 peer-reviewed articles, 21 book chapters and four reviews. In addition, Dr. Horwath has served as editor for the epidemiology section of the textbook Psychiatry and is a member of its editorial board. Prior to joining MetroHealth, Dr. Horwath served as Chief of Psychiatry at Jackson Memorial Hospital and the University of Miami Hospital, and he was CEO and Executive Medical Director of University of Miami Behavioral Health. In addition, Dr. Horwath served on the faculty of the College of Physicians and Surgeons at Columbia University from 1983 to 2006. Dr. Horwath received his medical degree from the University of Chicago-Pritzker School of Medicine and completed an internship at Overlook Hospital in New Jersey. He completed his residency at the Psychiatric Institute in New York, and a fellowship at the Columbia University College of Physicians and Surgeons, also in New York. Dr. Agnes Loeffler joined MetroHealth in 2018 and serves as Chair of the Department of Pathology. She earned her medical degree from the University of Illinois College of Medicine (Urbana). Dr. Loeffler completed her residency in Anatomic Pathology and a fellowship in Surgical Pathology at Dartmouth-Hitchcock Medical Center (New Hampshire). Dr. Brian Mercer has served as Chairman for the Department of Obstetrics and Gynecology since January 2012. He has been a member of the MetroHealth faculty since 2000. He currently serves on the Board of Directors for the Society for Maternal Fetal Medicine and is an examiner for the American Board of Obstetrics and Gynecology. He also serves on the editorial board for Obstetrics and Gynecology and for the Journal of Maternal Fetal Medicine. Dr. Mercer is currently Principal Investigator of the National Institute of Child Health and Development (NICHD) National Cooperative Multicenter Maternal Fetal Medicine Unit Network. A native of Canada, Dr. Mercer completed his undergraduate education at Queen’s University in Kingston and medical school at the University of Ottawa in Ottawa, Canada. He completed a fellowship in Maternal Fetal Medicine at the University of Tennessee. Dr. Tejbir Sidhu joined MetroHealth in 1988 and serves as Chair of the Department of Anesthesiology. He is an Assistant Professor at Case Western Reserve University (CWRU) School of Medicine. Dr. Sidhu earned his medical degree from the Christian Medical College in India. He completed an internship at the University of Maryland Medical System (Baltimore) and completed his residency training and fellowship in Anesthesiology from MetroHealth Medical Center. Dr. John (Jack) H. Wilber, MD, was named as Chair of the Department of Orthopaedic Surgery at MetroHealth in August of 2013. He joined the System in 1987 and is board certified in Orthopaedic Surgery. The recipient of multiple best doctor and best surgeon awards, Dr. Wilber has been listed in Best Doctors in America consecutively from 1998 to 2014 and has won the Department of Orthopaedics Teaching award four times during his tenure. Dr. Wilber has an international reputation in Orthopedic Traumatology and has served in many leadership roles including as President of AO North America, the premier international organization for Orthopaedic Traumatology, from 2004 to 2011. In addition, he served on the board of the AO International Foundation from 2000 to 2010; the AO North American Trauma Committee since 2004; the AO Trauma International Board since 2009 where he is current Chairman Elect; and is chair of the AO North America Board of Directors. Dr. Wilber has been published in 28 peer reviewed publications, has written 21 abstracts, and 11 book chapters. He has made more than 145 national and international presentations including multiple visiting professorships. Dr. Wilber was promoted to Professor of Orthopaedic Surgery at the Case School of Medicine in 2002 and was named the inaugural Hansjoerg Wyss Professor of Orthopaedic Traumatology in 2009. Dr. Wilber earned his medical degree from Case Western Reserve University School of Medicine and completed his internship and residency in Orthopedics at Case University Hospitals/MetroHealth, followed by an AO fellowship in Orthopaedic Traumatology in Switzerland.